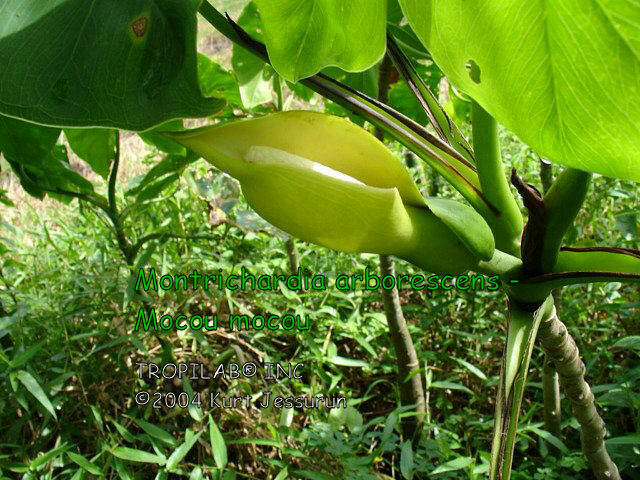 MONTRICHARDIA ARBORESCENS - MOCOU MOCOU. 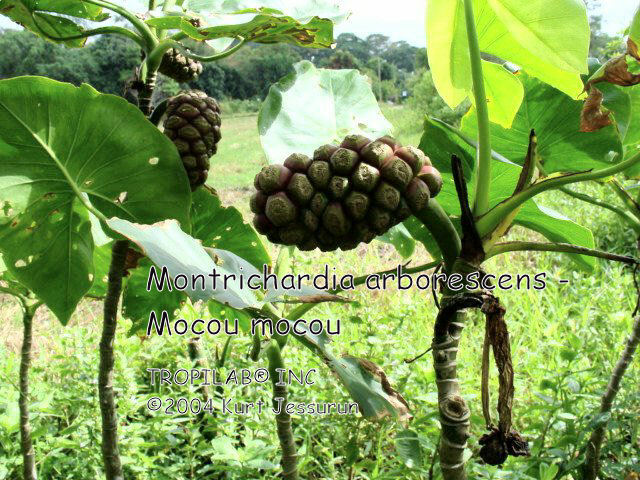 Mocou mocou, moco moco, moko moko, mokumoku, malanga-gratter, arracacho, Yautia-madera, Arum lily. salt -, brackish - and fresh water. 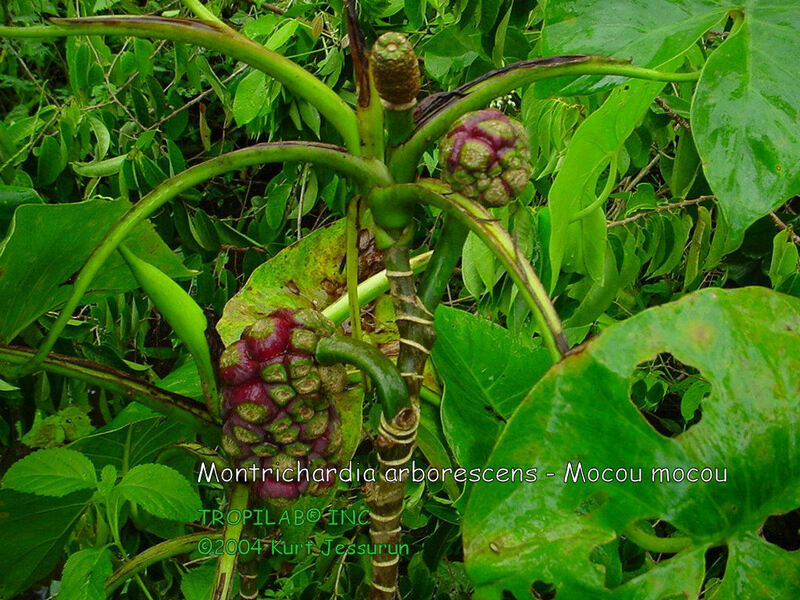 The stem sometimes has prickles and is somewhat swollen at the base. 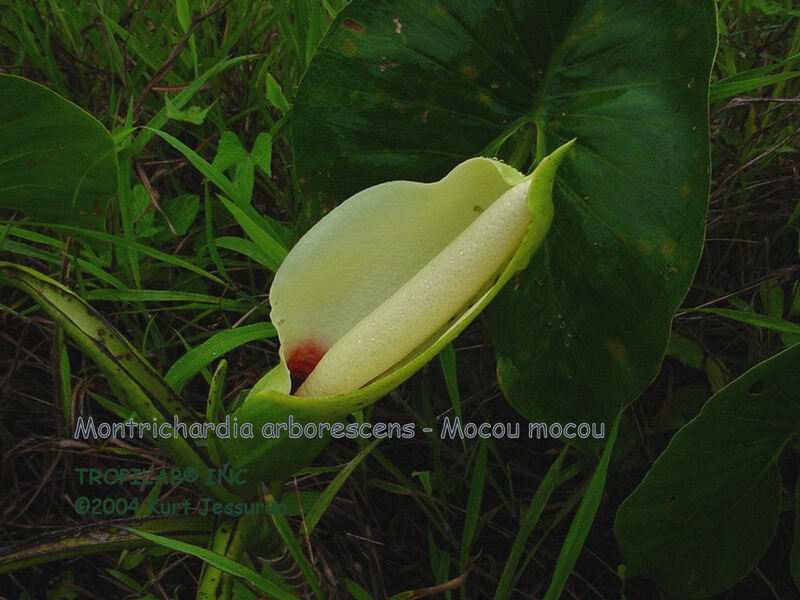 Mocou mocou can abundantly be found in estuaries. The leaves are arrow-shaped, up to 2.5 feet long and the food of choice for manatees. 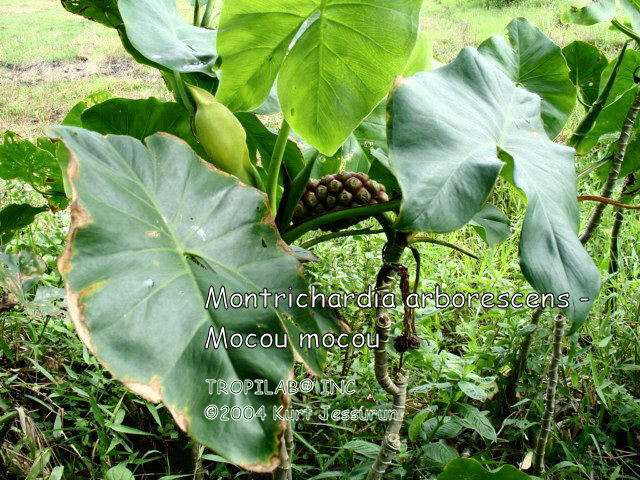 The fruiting spadix of moko moko is edible; the seeds can be cooked or toasted. 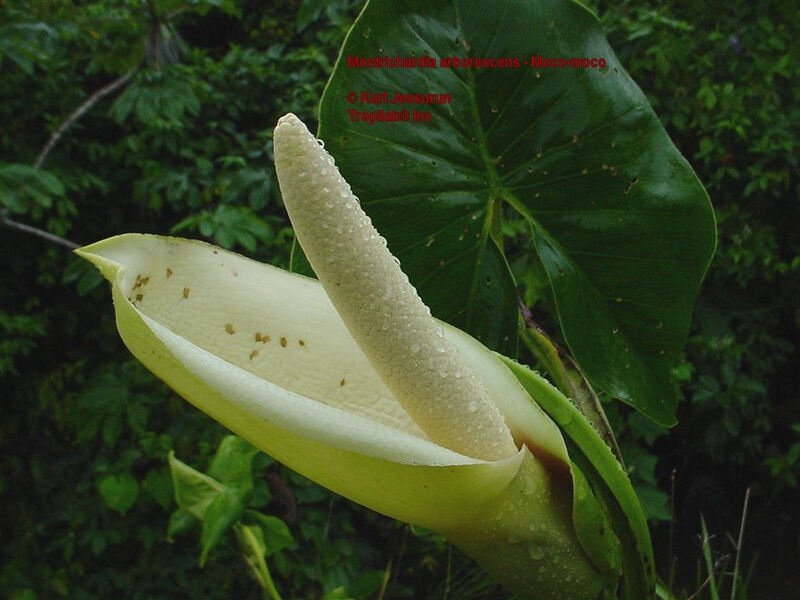 Each inflorescence contains ± 80 seeds. 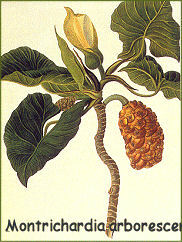 The milky juice of the stem is used in the treatment of deep cuts (external); also against nose bleeding. Full sun / part shade, all types of soil. Needs lots of water but has some drought tolerance.